More than half of the book is drawn from the wealth of inspired material in the articles from her pen that appeared during her long lifetime in such periodicals as the Review and Herald, Youth’s Instructor, and Signs of the Times. 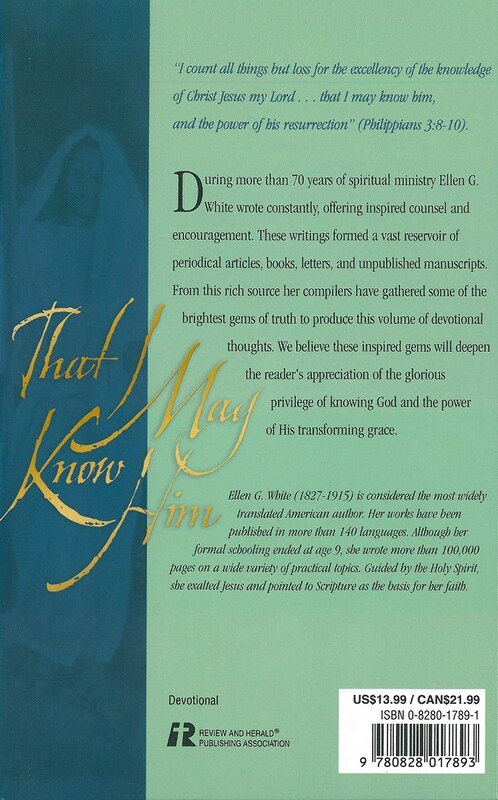 About one third is drawn from unpublished manuscripts and letters in the custody of the trustees of the Ellen G. White writings, under whose direction the volume has been prepared. 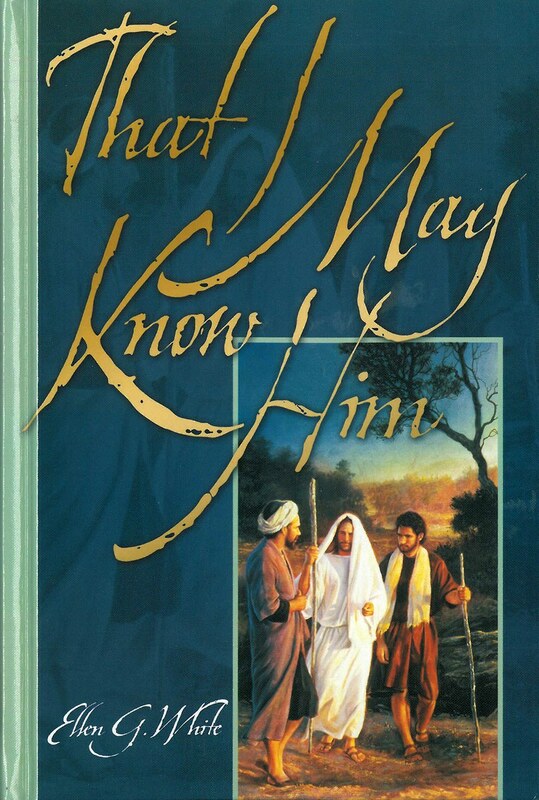 Many of these unpublished items are from personal heart-to-heart messages sent to individuals–messages that come to us today with the same earnest appeal, the same tender admonition and encouragement, as when they were written. 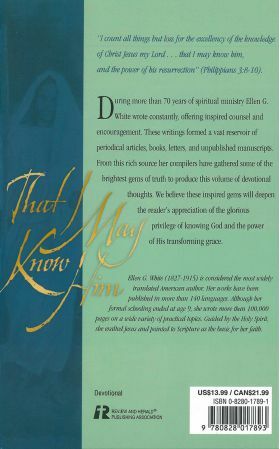 Of special interest are several pages which contain extracts from early morning entries in Ellen White’s diary, and give the reader significant glimpses into her personal prayer life.